Mumbai By-Passed ! In fact N.Konkan region totally by-passed. BB4 weakens fast, real fast. And moves away very fast. Precipitation as per late Saturday night has already moved into extreme west Gujarat's Kutch region and across the border. Anyway, i had mentioned not to expect much from this system. Light rainfall will now move into lower Sindh and Karachi on Sunday. Would not be surprised if it fades away fast, looking into the last 24 hrs behaviour. For Mumbai, Sunday will be mainly hot with sunny intervals. Residual moisture might just bring a few showers into Mumbai on Sunday.Showers could occur around satellite towns of Mumbai on Saturday night. But, rainfall in decrease mood from Sunday into next week. The west coast off shore trough is now weak. OLR map indicates (light blue) this weakening off the Konkan region. Chances of strengthening would have been there as long as the system was present. Is the supressed MJO phase setting in ? Will the axis move north and create break monsoon conditions ? what's in store next week ? 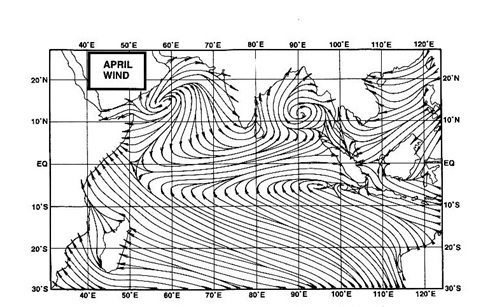 Shall discuss the possibilities of next week's weather, for N. India, Central and S.India in tomorrow's (Sunday) blog. 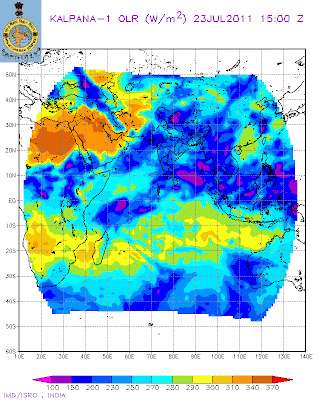 Chances increase for Nepal rainfall. Will be put up by 5 pm. do you think by 30th sept mumbai will get its average rain fall & lakes will fill up by 13 lml water? Some of the places in South with worst rains since june 01 2011. Many more to be added. All figures in (mm). Drought to stare??? sset:For Karnataka u picked up the -ve places. There are many +ve too, infact overall N.I.Karnataka is deficient by 6% and S.I. karnataka surplus by 5%. Southern A.P. is heavily -ve. In T.N. TOOTHUKUDI division is heavily -ve at 86% and Trichy at 66%. Yes, and most others around 50% minus. Anonymous: Have not yet given the Aug/Sept rainfall estimate, difficult to give it at this stage. But, in all probibilities, i think lakes can fill up to 10 lml by end season.